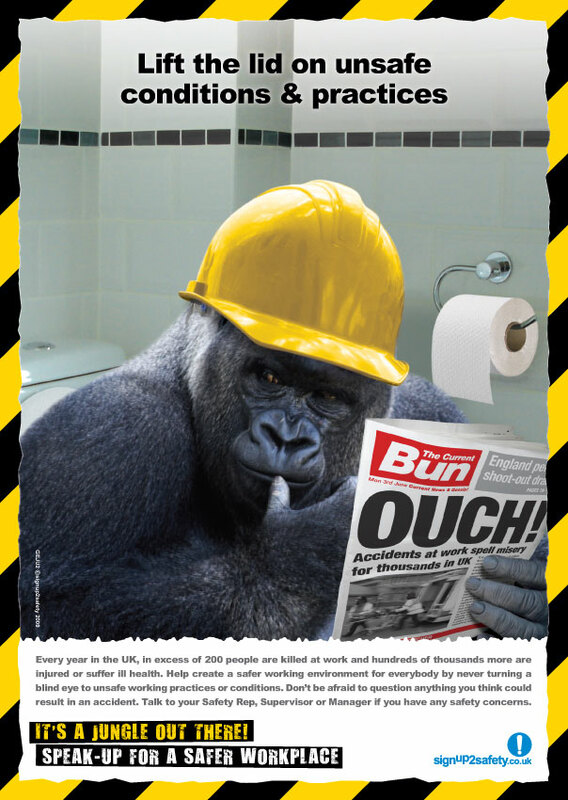 Every year in the UK, in excess of 200 people are killed at work and hundreds of thousands more are injured or suffer ill health. Help create a safer working environment for everybody by never turning a blind eye to unsafe working practices or conditions. Don’t be afraid to question anything you think could result in an accident. Talk to your Safety Rep, Supervisor or Manager if you have any safety concerns.